ChicagoCoasters wrote: I have recently been in contact with the park asking them questions about HITP. Q: What rides will be closed during HITP? A: The amount of rides closed depends on the weather. 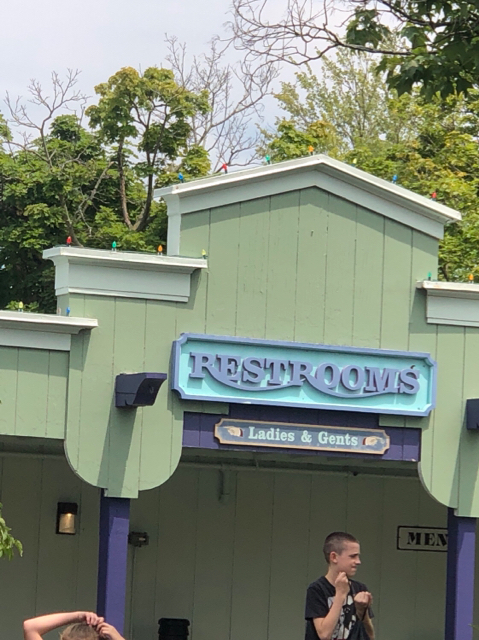 The rides known to be closed as of now are Marci Be as Hangover, Logger's Run, Yankee Flipper, Whizzer, Ricochet, Roaring Rapids, and Scenic Railway. Q: Will all areas of the park be open for HITP? A: All sections of the park will be open. Q: What holiday foods will be available during HITP? A: There has been no determination on what HITP will offer. Q: Where will Santa photos be? A: Santa will be available, but the location has not been determined. Q: What are the hours on New Year's Eve? A: The hours for New Year's Eve are 2 pm to 8 pm. Q: Will there be ice skating on the Columbia Carousel lake for HITP? I personally hated the answer for this. The answer was... a straight up NO. I also asked the park why Bucky Battle wasn't on the list of ride closures and they answered. I don't know why it wasn't on the list. I would assume it would be closed during HITP. So maybe it will be gone by then. So there are the answers to all of your questions about HITP. I've emailed the park before and they've answered very quickly, so I'm assuming he could just have asked and gotten these answers. I just have a hard time believing that the park would reveal that much information regarding what would be open or closed this early, plus the list of CLOSED rides are all kind of obvious...as the flumes are already closed for FF and Whizzer doesn't really run in even the littlest of bad weather. I contacted the park through their contact form on the website. The park responded back with these answers. However, most of the details for HITP aren't final yet, but these ones from my post are final. ^ If for food selections are gingerbread cookies and free hot chocolate than I'm good . ^Well it won't be free hot chocolate. They will probably have souvenir mugs to refill. I just found out about this earlier this week through their website! I am glad we can always count on this website to cover anything and everything that goes on at our park. I am looking forward to this! I am surprised the Scenic Railway will be closed! I too think it would make for a wonderful Christmastime ride, there's a lot of potential there. I think that's going to be on the mind of many with a let down that it's closed. Such a shame the park is closing at 8pm for New Years Eve. If you're going to be open until 8pm at night, why not stretch it until like 12:30 or something? Some have NYD off and the fact that one can't celebrate the new year is a turn off. Im sure there will be a lot of disappointed people. The park could earn from this. Or the park could charge a separate price entirely and have an event from like 9-1am for NYE. I am still baffled why such an event isn't happening. They went this far to open for the holidays. 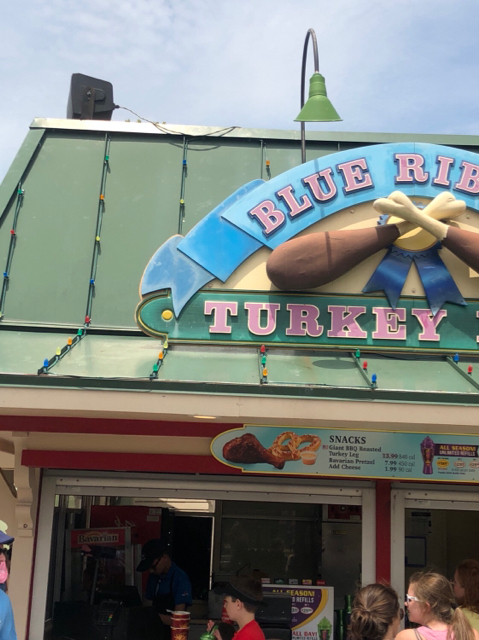 "From fireside S’mores and caramel apple funnel cakes, to hot chocolate and eggnog, our Holiday in the Park-exclusive culinary treats will have you hoping the winter season never leaves." I don't like it it's gonna be too cold. I think it'll be a colossal waste of time and money. I'd rather them spend the money on FF and bring back JPM. Honestly with what they'll be shelling out I think they'd make more back during FF. Weather in Nov and Dec can turn nasty on a dime. This might be too stressfull on rides thing of it cold steel friction and heat from rollercoaster wheels= cracks and problems. There's no need to bring back JPM for Fright Fest. FF is currently the busiest time of the season for SFGAm so there is no reason to change what they are doing. Also HITP allows more opportunities for guests to come through the gate and spend money. Even if it's cold and the many of the rides are not working, families want to have a holiday event where they can be awed by lights, consume hot chocolate and other holiday treats, and spend time together. The holiday lights at the Morton Arboretum and Brookfield Zoo are really popular, so add the possibliity of riding some coasters or dark/flat rides, SFGAm HITP has huge potential provided they don't skimp on the lights. Jodon wrote: There's no need to bring back JPM for Fright Fest. FF is currently the busiest time of the season for SFGAm so there is no reason to change what they are doing. Fright Fest also has BAFF Tickets which artificially inflate the crowds. 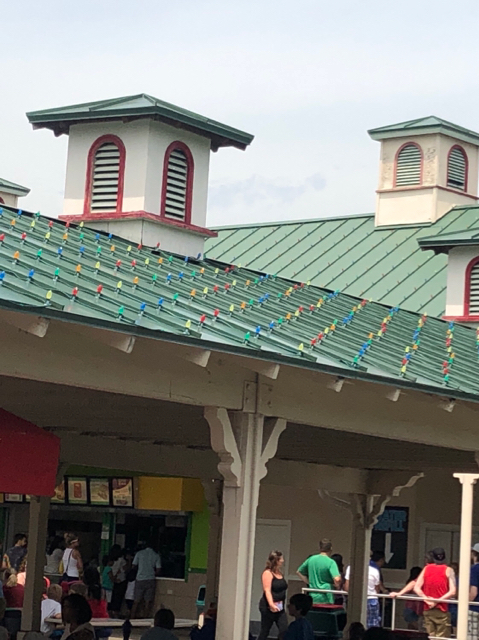 I know HIP is still a while away but when I was at the park on Sunday I noticed they had Christmas lights up on the county fair train station. Also looks like they are installing some type of lighting throughout the park that appear to be for the trees. ^That's cool to hear. It's still weird to think that this season is only about a third of the way over thanks to HITP. It'll really be interesting to see want rides/areas will be open. Let's hope this experiment works! 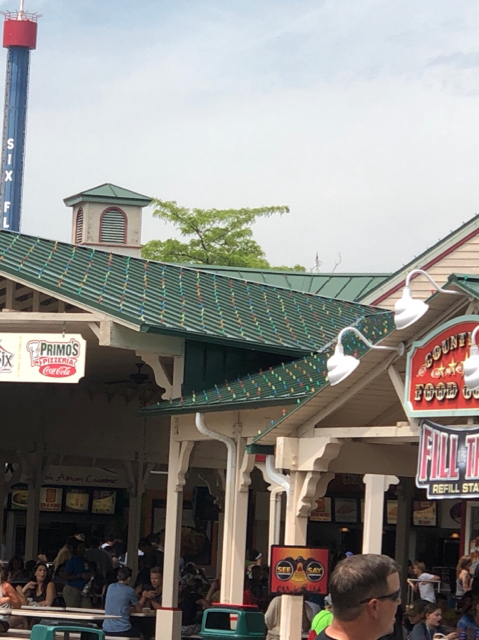 Lights have also been put on top of the roof of the County Fair Food Court. I would imagine they do all the buildings now. Trees in the other hand I would bunk hey would wait until they lost their leaves in the fall to adds lights. It doesn’t make sense while they have leaves on them. I’m at the park now. I’ll let you know if I see anything. I can confirm that lights have started to hung. All the buildings around the Food court have them! That's so cool to see. Thanks for the photos. Are they really planning to go all and out with this thing. Man before you notice they will light up the entire city if Gurnee and I'll be able to see it from where I live . Edit: Spelling (what is wrong with my phone). 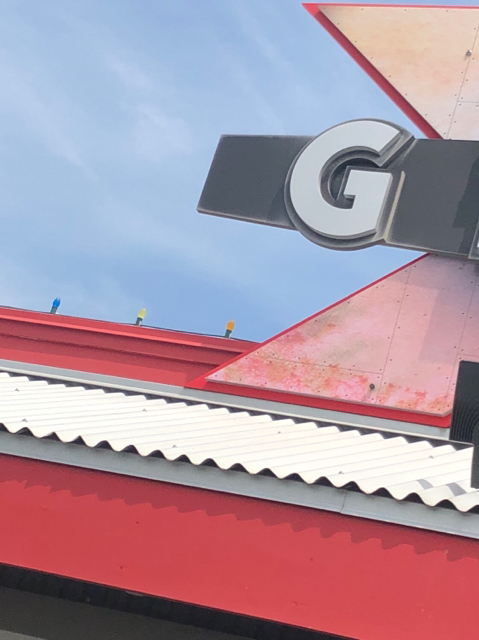 The Railroads at Busch Gardens, King's Island and Dollywood for their holiday events are PACKED because they are total family rides for the holiday. Will Scenic Railway be closed because Six Flags thinks their dilapidated equipment won't be able to handle the large ridership? super7 wrote: The Railroads at Busch Gardens, King's Island and Dollywood for their holiday events are PACKED because they are total family rides for the holiday. Will Scenic Railway be closed because Six Flags thinks their dilapidated equipment won't be able to handle the large ridership? This year for sure it will be closed. I’m assuming construction will start in November and with it being so close to the tracks they will not be able to run it. However maybe next year it will be open. I just had an epic idea of what the park could do. As you know every one knows that Terror Twister Two gives a legendary ride during Fright Fest but we won't be able to enjoy it anymore at the end of Fright Fest. Well I had the idea instead of removing the effects, you should keep them and instead of being Halloween themed you should have it Christmas themed. Don't shut off the lights at the beginning just put some Christmas lights at the beginning so it wouldn't scare children as much as it would. That's my idea that I'll totally share with the park. It also wouldn't surprise me if they decided to not open/close early during the event...I get that hours are already limited but we are talking about a time of year that has potential for snow accumulation and temperatures below freezing....and most people are not going to venture out in it if they don't have to. The only coasters I could see being open are B: TR, as its layout is the most “downhill” in the park, and V2. However, if there were more coasters open during HITP, how would that affect the maintenance schedule of the rides that remain open?